Have Some Fun and Win! Have you read my novel A LOVE TO REMEMBER? 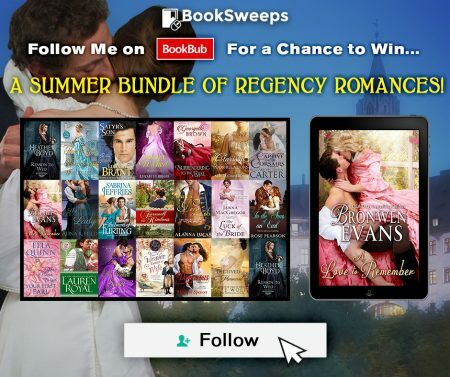 For a limited time, you can enter to win the book, plus 20 fantastic Regency Romances from an amazing collection of authors, PLUS a brand new eReader — just follow me and other great Regency Romance authors on BookBub! When you’re done, leave a comment to let me know you’ve followed! Here is the list of books you could win!